A poster pasted on H Street Northeast draws pedestrian attention to a familiar palette. The pastel and dark blues, beige and a solid primary red were once seen on Shepard Fairey’s 2008 “Hope” poster, which advocated for President Barack Obama in a presidential race where candidates collectively broke records by raising over $1 billion for the first time in U.S. history. This poster was also designed by Fairey, with the same colors and style — but with a more cynical message. 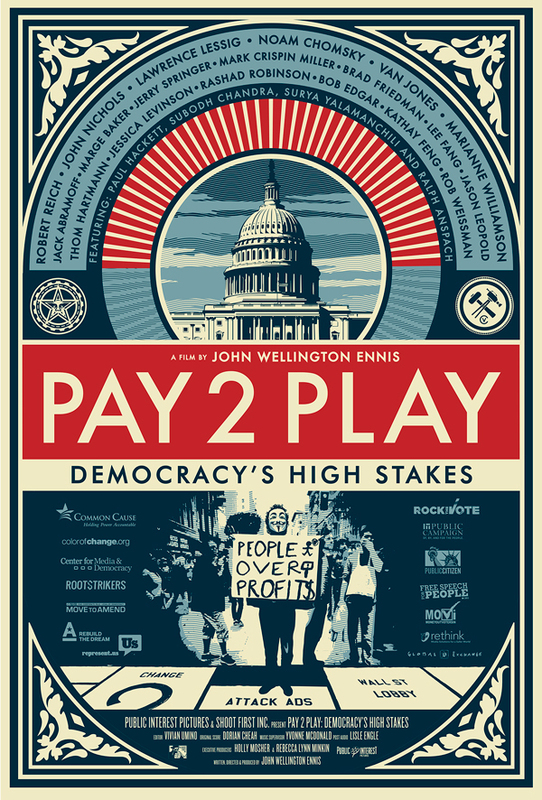 It advertises "Pay 2 Play," a documentary that critiques and exposes a political system, using street art as one of many focuses, in which big money interests hold more sway. After initial success at the Angelika Pop-Up theater, showtimes for the documentary were extended until September 25. For Ennis, though, big money is just one way to gain influence. Street art, he said, can be a powerful tool of political expression that can give a voice back to “grown ups” who are being wronged by the power money has in the political system. "Pay 2 Play" documents the journey of the filmmaker from 2005 on, when Ennis went to Ohio to tell the story of the Coingate scandal. His father had been auditing the scandal on behalf of the Bureau of Workers&apos; Compensation, and when Ennis, a comedian at heart, heard about what was happening, he felt he couldn’t pass up the chance. Over the next decade Ennis put together the film, which includes the “secret” story of the game Monopoly and interviews with Los Angeles street artists, to explain big money in political campaigns, especially in the years after the 2010 Citizens United Supreme Court decision. Just like his idea of street art, he wanted the movie to be accessible to all sorts of people. 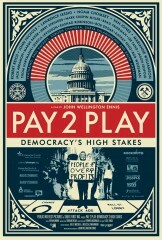 And, Fairey art isn’t the only thing Pay 2 Play has in common with big political campaigns. Going forward, Ennis hopes to build a "limited activist" movement across the country, using online tools such as NationBuilder, a campaign tool developed by a former 2004 John Kerry presidential campaign staffer that streamlines volunteer organizing and fundraising.